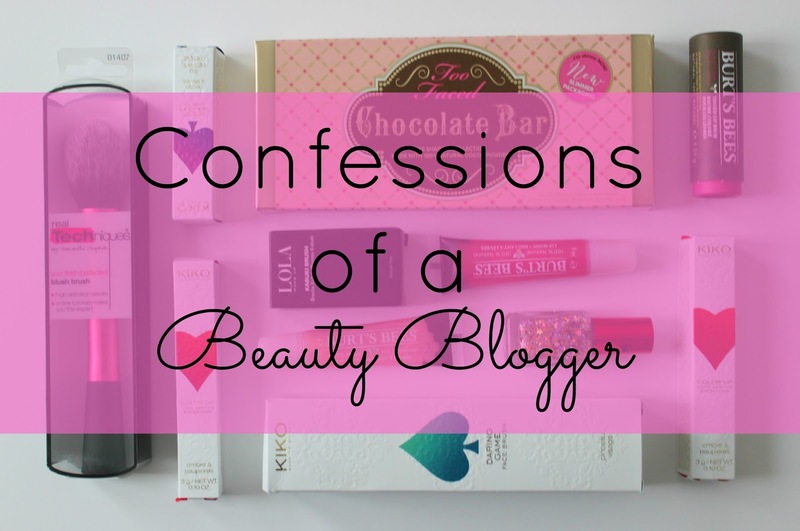 Last year I shared a few of my secret beauty confessions with you in this post and I thought it might be time to own up to a few more. I’d love to hear your secret beauty confessions – feel free to leave them anonymously if you don’t want to admit that it’s you! - I very rarely finish skincare products. Product testing for the blog means it’s hard to get through an entire pot of anything, so if I do finish it and then repurchase, you know it’s one to invest in. - Washing my makeup brushes takes a worryingly low priority – I’m lucky if I remember to do it every couple of weeks (ok, closer to a month!) unless I’ve been using a liquid foundation. - I'm useless at styling my hair. I finally learnt how to French braid it about 3 months ago at the ripe old age of 30. Other than that, if you see me with something other than a bun or a ponytail, someone else did it! - Despite having a full fringe, I'm pretty rubbish at getting regular trims at the hairdresser. So I now get my boyfriend to trim my fringe every couple of weeks to keep it the perfect length. - I really hate chipped nail polish but don't always have time to take it all off and repaint it, so have been known to just paint an extra coat over the top and hope for the best! What are your secret beauty confessions?